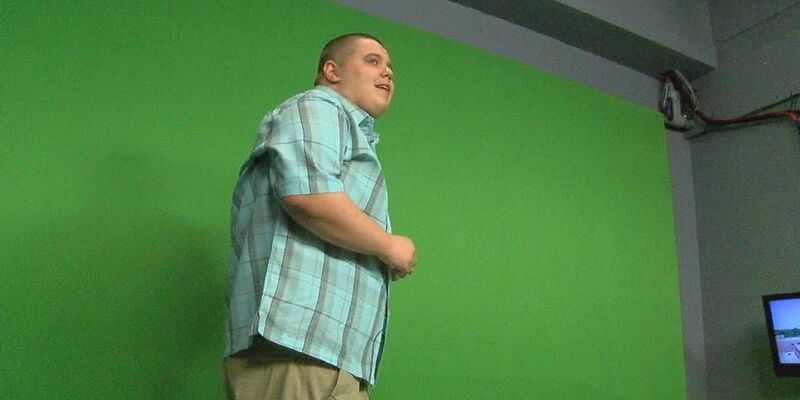 TYLER, TX (KLTV) - For a young teen named Shyden, he's anything but shy. He is a 13-year-old with a clear vision of what he wants to be when he grows up. "I want to be the storm tracker," said Shyden. "I'm going to be a weather anchor and a news anchor!" The only thing missing is a family to support him. "Family is really important to him," said Shyden's caretaker Heather Beldon. "He's always expressed how he's wanted a family." Beldon has cared for Shyden for several years. "Shyden is very outgoing," Beldon said. "He's never met a stranger." His bright and bold personality was molded at a young age through circumstances many children never have to experience. "When he came to us he was living in a car," said Beldon. "He went out in the streets and begged for food. He was very small, very small stature, and now you can see he's a big growing boy." It's hard to believe how someone could have such a great spirit despite a series of setbacks so early in life, but Shyden proves it's possible. "I want to have a family one day and I'm going to be here for my mom and dad, my new mom and dad," said Shyden. "Once you meet Shyden and you see that smile, you fall in love with him," said Beldon. "He wants somebody to love." Shyden said he also hopes to be a big brother one day too. He said he has great faith his forever family is out there. For more information on how to adopt La’Rey or other East Texas children available for adoption call (903) 812-3515.